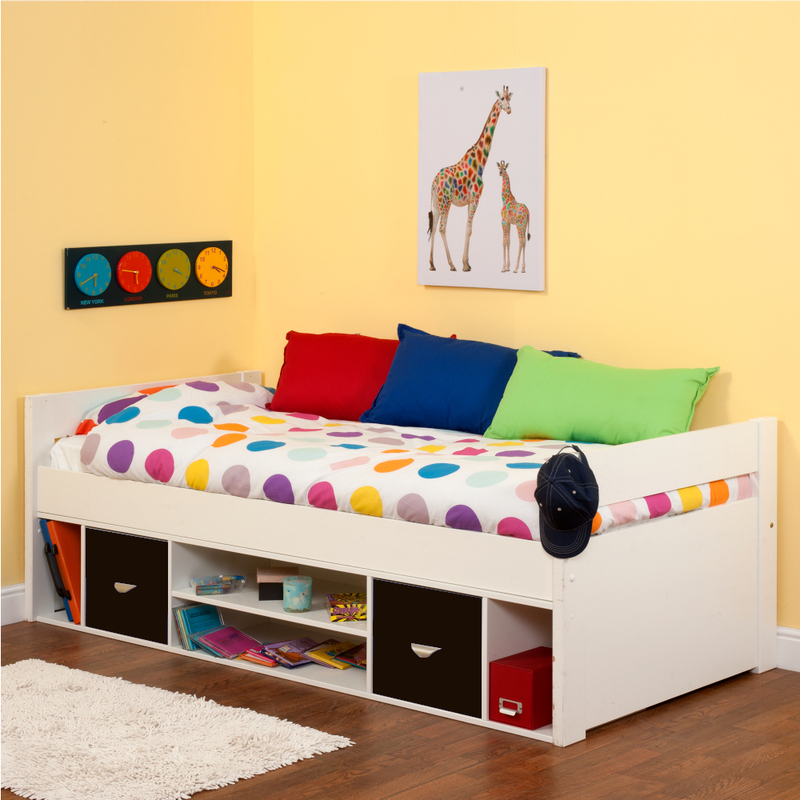 The Cabin Bed combines the smartness of a daybed with the practicalities of useful storage bed. A must have for teenagers wanting style with versatility in their bedroom. Dress it as a chic daybed with lots of scatter cushions during the day and chill out listening to your favourite track and then transform it to a cosy bed at night time. Store your CD's, books, games in the storage compartment under the bed. Includes Uno Cabin Bed with Underbed Storage and 2 black doors. 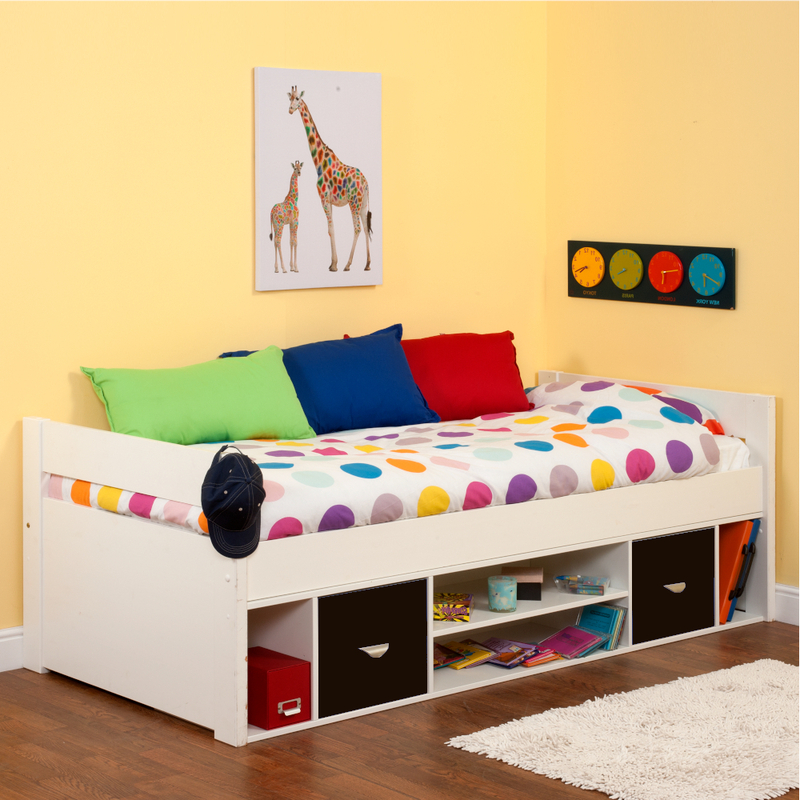 Cabin Bed frame including Underbed Storage Unit with 2 doors. Also perfect as guest bed in the spare room/study. This bed takes a continental sized mattress 900x2000mm - see our choice of Stompa mattresses. Easy grip brushed steel metal handles.